Although Dusenbury’s and Weissberg’s study concentrated on elementary-level programs, clearly SEL programs should be promoted all the way through secondary education. 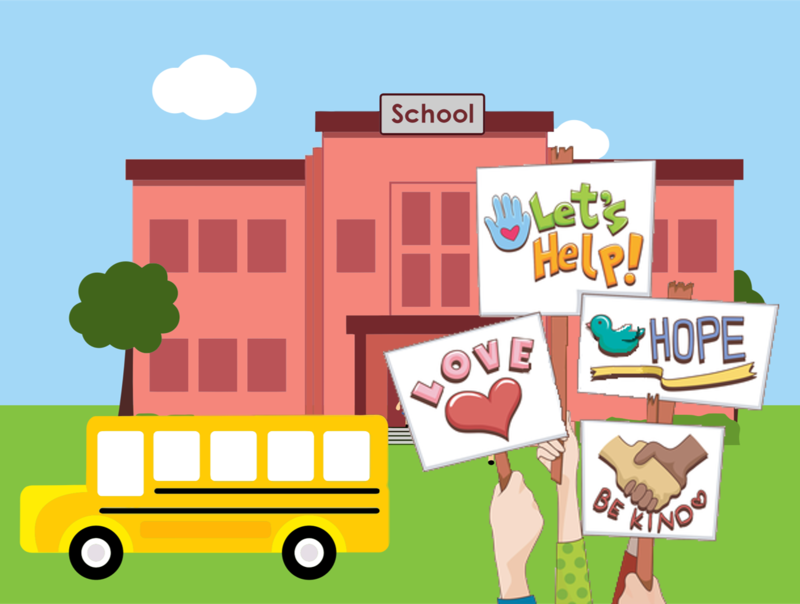 From bullying at school to incivility in politics, we could all use a little more kindness in our lives. Gabriella Rowe (@Gabriella_Rowe), Head of School of The Village School in Houston, asserts we need to teach children how their behavior reflects how others perceive them and, more importantly, teach them how to think about others before they act. She writes, “Do we ask our students to say ‘please’ and ‘thank you’ to be polite, or to demonstrate respect for others? Do we tell them to wait for their turn to speak so they learn self-control or to teach them to be good and active listeners? While the action on the part of the child is the same in both instances, the embedded lessons are different. The first is manners-focused: Am I showing my best self to the world? The second is focusing on others: Am I thinking about the needs of others?” Being polite and being kind are both important traits. Adopt evidence-based SEL programs and activities in order to improve social, emotional, and academic success. Provide teachers and administrators with ongoing professional development and coaching to ensure high quality implementation. Support and reinforce student SEL school-wide, and in family and community partnerships. Create state, district, and school policies and guidelines to help insure that learning goals for SEL are well-developed and aligned with elementary education, more broadly. Any program trying to teach civility and kindness needs to ensure such principles get practiced. I’m a proponent of project-based learning and I think believe SEL topics could be woven into project-based learning. I, along with a few colleagues, founded The Project for STEM Competitiveness to assist in getting a project-based, problem-solving approaches into schools near where we live. By working together on real projects that tackle real-world challenges, students can learn to serve and work with others. Colin L. Powell and Alma J. Powell, “Our Cause: A Letter to America,” 2017. Linda Dusenbury and Roger P. Weissberg, “Social Emotional Learning in Elementary School: Preparation for Success,” Edna Bennett Pierce Prevention Research Center, Pennsylvania State University, 2017. Gabriella Rowe, “Principals for kindness: How to instill empathy in the classroom,” Education Dive, 10 April 2017.